Your personal information will be held by Mploy Staffing Solutions Limited. We may store and process your personal information outside of Europe where it is necessary for us to do so or where our IT systems are cloud-based services provided by third party service providers. We will only process your personal information outside of Europe where we have adequate safeguards in place with our clients and third party service providers or we have obtained your explicit consent to handle your information in this way. Only retain your personal information for as long as we consider it necessary in order that we can continue to provide the best recruitment service to you now and in the future or for as long as required to comply with our legal obligations. 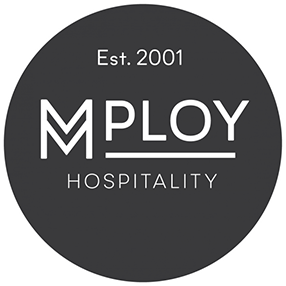 We are Mploy Staffing Solutions Limited (we, us or our), a registered company in England under company number 041655754 with our registered offices at 4 Cedar Park, Cobham Road Ferndown, Industrial Estate Wimborne, Dorset, BH21 7SF. “To focus equally on our two customers – the client and the applicant. To offer a quality service that meets and surpasses the expectations of applicants and clients alike. Candidates in identifying and exploring new and relevant employment opportunities for them now and in the future. Any information we hold about you which identifies you as an individual (personal data under the General Data Protection Regulations (GDPR)) may only be used by us in accordance with the requirements of the GDPR. Any personal data that we hold manually or electronically in a relevant filing system is within scope of GDPR. If we use particularly sensitive personal data about you (special categories of data under GDPR) or we use personal data relating to criminal convictions and offences, we must comply with additional rules under the Data Protection Act 2018. For more info on what special categories of data are see here. Individuals who approach us seeking a new role or to discuss a role that they have become aware of, who respond to an advertisement we publish in respect of a role, or who we approach as someone who may be interested in a role we are currently seeking to fulfil for a client organisation or who may be interested in future roles we may have. We may collect and process a range of personal information about you, whether obtained directly from you or obtained from a third-party source, and which includes but is not limited to contact details, work and employment history, education, professional qualifications and your personal interests that we believe are relevant to deliver our recruitment services and or to administer any contract assignments that you undertake through us. Please read our full list of personal information we may collect from a Candidate here in this table. From Candidate/Contract Resource From a third party To identify suitable roles for you; to assess your suitability for specific roles we may have available; to assess you against additional suitability and pre-screening criteria for roles confirmed by our clients; to ensure that we seek to match you to roles in line with your aims and aspirations; to ensure we represent you in the best possible way to our clients; both now and in the future. To administer contract assignments that that you have agreed to, are available for, and on-call for. 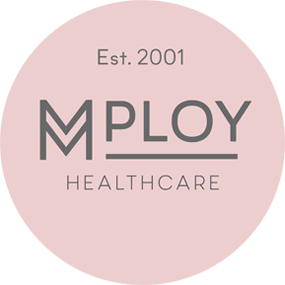 Medical Information medical history relevant to role Medical Questionnaire To complete pre-screening requirements of clients; To assess any special requirements candidates may have for specific roles in line with Health and Safety regulations. Biometric data biometric attendance recording devices such as hand-scanners From candidates use of hand-scanner at client site To ensure that we can provide the Client with accurate information regarding Contract Resource on site from both an attendance, and health and safety perspective. *Referees/prior employers – we will always discuss any requirement for us to take up any verbal and or written references and/or any requirement for us to verify your employment history and or gaps in employment history for any role. We will never seek to contact a current employer unless with your permission. Administer and manage your availability for contract assignments and any on-call service you may provide to us (LI). Share your personal information with third parties where required by law or where necessary in pursuit of our legitimate interests (LI) – for more information see here. Keep you informed of relevant vacancies that we may have now and in the future by email through our local offices (marketing communication) (LI). Contact you individually regarding a role which we believe will be of interest to you by email, telephone, SMS text, and or other electronic means (marketing communication) (LI). Keep you informed about relevant professional information; published salary surveys relevant to you, networking events, and other relevant information about the industry sector or your skills sector which we believe may be of interest to you whether by post, by email, and or other electronic means (marketing communication) (LI). We may collect and process personal information relating to you that we would not ordinarily undertake of our own volition, and we will advise you of any such requirements for a role when discussing the role with you. This may involve us asking you to comply with additional pre-screening requirements of a Client, in addition to those we have already undertaken for our assessment of your suitability (Client Requirements). We will only require the collection and processing of such personal information where we are asked to by the Client. Our collection and processing of such personal information is necessary for us to comply with our contractual obligations to our Client. 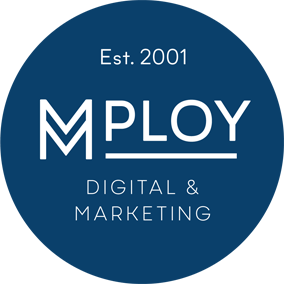 We may contact you by sending you marketing communications; whether by post or electronically, to you about potential roles, our services, and professional information which we believe are relevant to you and would be of interest to you. Our continued contact with you now and in the future on this basis is beneficial and necessary to ensure that you receive the best range and choice of employment opportunities; that we may assist and support you in your career aspirations at the various stages of your career; that our Clients continue to have access to a broad range of suitable Candidates for roles that they may have now and in the future, that Clients may receive introductions in faster timescales through our access to suitable Candidates, and that we may continue to fulfil roles for Clients to maintain a sustainable and profitable business. We have already clarified our grounds for sending you marketing communications under GDPR. Under existing rules on electronic marketing communications, if we wish to send you our marketing communications by electronic mail we are either required to obtain your consent (GDPR standard) to send marketing communications or we may treat you as an existing customer (who we can treat as opted-in to marketing communications. We will treat you as an existing customer on the basis that we have had dealings with you with respect to the provision of our recruitment services. We only send you marketing communications regarding relevant roles, or otherwise in connection with our recruitment services or similar services and provided that you have not opted out of receiving our email marketing communications. We do not share your personal information for marketing purposes with any other person. You have the right at any time to opt out of receiving future email marketing communications from us or otherwise object to our future marketing communications by emailing us directly. Please see Contact Us – Your Rights for more information. We do as part of our assessment of your suitability to be considered for contract resource roles seek to collect data relating to criminal convictions and offences which are relevant to the type of roles you are interested in. We do not as part of our own assessment of your suitability for a permanent or fixed term role seek to collect any special categories of data or data relating to criminal convictions and offences in respect of Candidates. However, occasionally, we may collect such personal information in respect of a Client Requirement or through information you disclose to us. We will delete any record of such health information we collect and use whether you are successful in being placed into a permanent and or fixed term role or unsuccessful in obtaining that role in accordance with our How long we keep your personal information for – except to the extent we are required to comply with the Equality Act 2010 for any future roles and or to defend legal claims. Consent – We may for certain contract assignments for our Clients, require you to use our biometric attendance recording devices such as hand-scanners in order to register your attendance at the Client site. Biometric data is sensitive personal information, so we will always ask your explicit consent to use our clocking in and clocking out devices. Candidates – From the date of collection of your personal information, we expect to have on-going discussions and communications with you during your career with respect to existing and future temporary, permanent and fixed term roles however those discussions arise (Career Discussions). However, we understand that there may be periods during which we have no Career Discussions with you and after a period of time it may be reasonable to expect that your personal information is no longer of interest or relevance to us and should be deleted. Given the nature of our recruitment services and the skills and sectors that we operate in, if we have not engaged with you on a temporary contract, placed you in a permanent or fixed term role (also when introduced to permanent and fixed them roles but unsuccessful in the interviewing process) for at least 2 years but no longer than 3 years since registering your details on our database, we will remove your personal information from our CRM and systems. We will retain any personal information (including any sensitive personal information) regarding a permanent or fixed term role that you have been introduced for and placed in, for at least 12 months but no longer than 3 years in order to comply with any Legal Obligations and or to ensure we can deal with any Legal Claims that may arise during this time as is necessary and in our legitimate interest. Should you request the deletion of your personal information before this date, we will not erase your personal data until the period above has expired. Contract Resource – We will retain any personal information collected and used for a particular contract assignment for a period of at least 6 years but no longer than 7 years in order to comply with our Legal Obligations, to deal with any Legal Claims, and to reply to any employment verification requests received from any new employer or recruitment agency whom requests confirmation of your work history through us. Should you be placed on a further contract assignment and any personal information collected and used for the purpose of your previous contract assignment is relevant and valid for processing for the same purposes for the new contract assignment, we shall be entitled to use such personal information for the current assignment. Client Contacts – We will retain your personal information for as long as we provide recruitment services to you and for as long as it may be reasonable and commercially beneficial to both sides thereafter. Supplier Contracts – We will retain your personal information for as long as we receive services from you or we provide recruitment services to you and for a period of up to 2 years thereafter. We may be required to work with a master vendor, neutral vendor, or managed supplier of recruitment services to a Client (Intermediary), and in this circumstance we will share your personal information with the Intermediary who is managing the recruitment process for the Client and the Client. For the purposes of this privacy notice, Client shall include any Intermediary. Our own third-party service providers who deliver services on our behalf and who may process your personal information in the performance of those services under our instruction (subject to agreements with our third-party service providers) and which include but not be limited to our accountants, auditors, legal advisors and IT service provider, pension provider. Third-party sources (Candidate personal information table – ) that deliver services to us as we require to comply with any Client Requirements that we are obliged to comply with. We confirm that the majority of our systems are maintained within Europe. Where any system is maintained outside of Europe, or a Client has notified us they will process your personal information outside of Europe, and the country concerned does not have an adequacy decision in place with the European Commission (which allows that country to be treated as a safe place to transfer and process data alongside other European country and to the standards equivalent to GDPR), we will ensure that your personal information receives an adequate level of protection by requiring any recipient of your personal information to enter into contractual terms and conditions which requires the same level of protection afforded to processing inside of Europe (appropriate safeguards). If we are unable to put into place appropriate safeguards, we will seek your written consent prior to processing your personal information outside of Europe and in a country, which is not considered safe by the European Commission. We confirm that your personal information is retained within our accounts payable software, which is software which is held within our own local servers and your personal information is held securely on servers within Europe or where the cloud-based service is used (Microsoft) outside of EU we ensure that the systems use appropriate safeguards as approved by ICO.